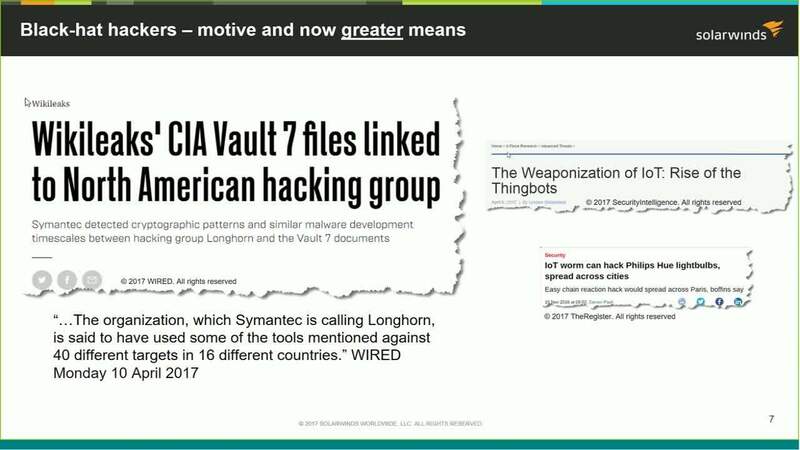 The trove of CIA cyber hacking documents posted to WikiLeaks Vault 7 contained many revelations for vendors and security analysts alike. But what does all of this mean to you as a network or security engineer? This video will provide the knowledge and preperation to help you successfully defend your network against cyber-attacks regardless of how or when they come.